If it is Chicago Fire showrunner Derek Haas’ goal with every single fall finale to make viewers stressed-out beyond belief, odds are he’s off somewhere cackling to himself following the conclusion of Wednesday night’s “There’s a Catch.” This episode was emotional at times, heartfelt at others, and it found a totally new way to surround Matthew Casey in a fiery inferno at the end. New Chicago Fire video! 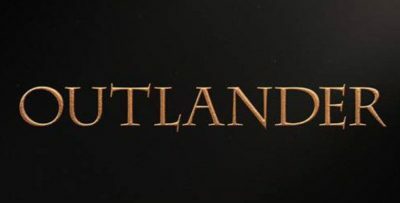 – Be sure to get some more insight when it comes to the fall finale in the video at the bottom of this article! 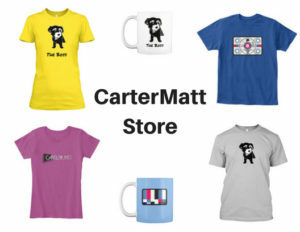 Meanwhile, remember to subscribe to CarterMatt on YouTube and be sure to check out our One Chicago playlist. This time around, that inferno takes on a couple of different forms. There’s the metaphorical one first — things got hot and heavy rather quickly between him and Naomi after the two worked together to take down the “small trailer company” who she was looking into with some of her pieces. They were able to prove that they had actually moved their product over to a shell company rather than getting rid of it outright. Was Casey’s decision to kiss, and then sleep with, Naomi a product of the moment? It does feel that way. He’s attracted to passionate people and he just saw Naomi, a passionate person, fight for what she believed in. Yet, you do also have to wonder if he was really ready for a relationship of this sort while also still going through whatever he is with Dawson. Divorce is clearly something still happening behind the scenes, but the sudden timing of this hookup could mean a little more trouble for Casey and Naomi later. Then, there’s the other issue here simply known as Casey and Naomi being on the verge of death. Casey got out of bed in the closing seconds to realize that there was a HUGE fire raging just outside the bedroom. Is this a result of the aforementioned “small trailer company,” who are now clearly out for vengeance over what happened to them? Unfortunately, taking them down may have had consequences, especially once the company’s owners realized that they couldn’t just sue Naomi into the ground. Elsewhere in this episode, now seems like a great opportunity for Kelly to circle the drain given that he’s still dealing with his father’s death and doing what he does best — shoving people away because he thinks for some silly reason that this is going to actually help him when in reality it just has a tendency to make things worse. Kelly got angry at Stella over her old friend Tyler being around, largely because he thinks that Tyler is interested in her … and also that he just doesn’t want to deal with the dude. This is about Kelly on some level being jealous, but it’s also that he wants everything to be on his terms at the moment and doesn’t want to conform to anyone else. Stella feels that if Kelly gets to know Tyler that he will see things differently, but he’s not having it. As a result of that, he didn’t really apologize to Stella for much and by the end of the episode, she did decide to hang out with Tyler rather than continue to try and deal with a guy who wasn’t giving her much of anything outside of grief. Is this the end for Stellaride? Not necessarily, but we do think that this is a major bump in the road. This was a great way to end the first part of the season performance-wise for Joe Minoso, whose character learned tonight that Chole was in a serious pile-up. He rushed to her side in order to be with her, but for most of the episode we saw everyone remain concerned as to whether or not she was going to make it. She did, and in the process of that we met Chloe’s parents, who seem to love Joe just as much as Chloe does. Also, kudos to Chaplain Kyle for working to make sure that the parents could see her before she regained consciousness. After getting an opportunity to go back to medical school and finish what she started, she informed Boden in the closing minutes of the episode that, at least for now, it’s not something that she’s altogether interested in doing. She’s happy with not just her job at the firehouse, but also the community there. This is music to our ears given that we also love having Foster and everything that she brings to the world of this show around. Related News – If you missed our interview with showrunner Derek Haas talking all about the midseason finale be sure to check that out! 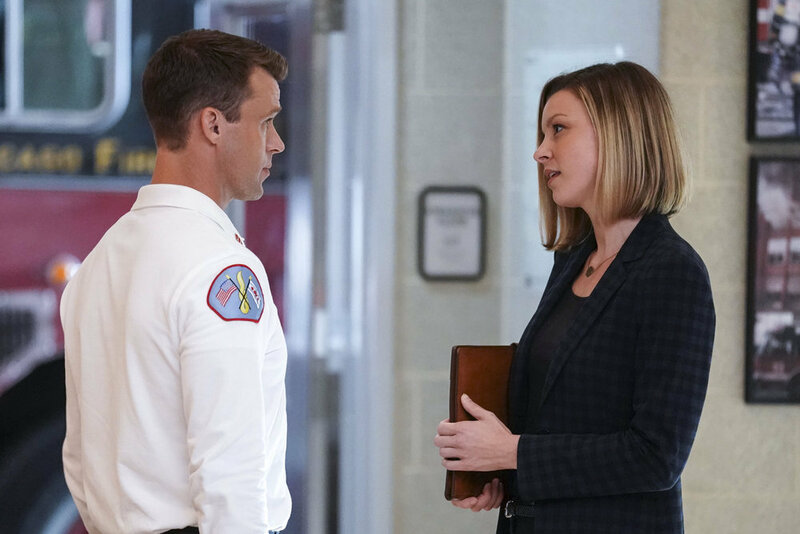 Chicago Fire season 7 episode 9 ended up being a rather outstanding affair, one that was dramatic, fiery, and all sorts of intense from start to finish as we got just about everything that we could’ve possibly wanted from start to finish — including a big cliffhanger. We’re not sure about Casey and Naomi, but the whole point here may not be that they’re meant to end up together and this is a stepping stone for Casey to move into the next phase of his life. Right now, Casey’s survival just seems more important than anything.